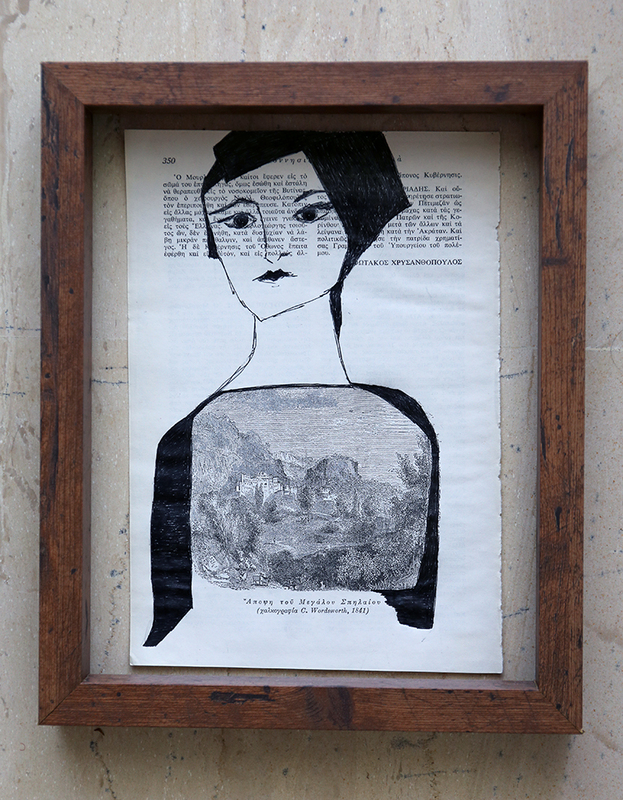 Original and one of a kind pen drawing on vintage book page. Retro portrait of a woman. 16.5 x 23.5 cm. 6 2/4 x 9 1/4 inches approximately. 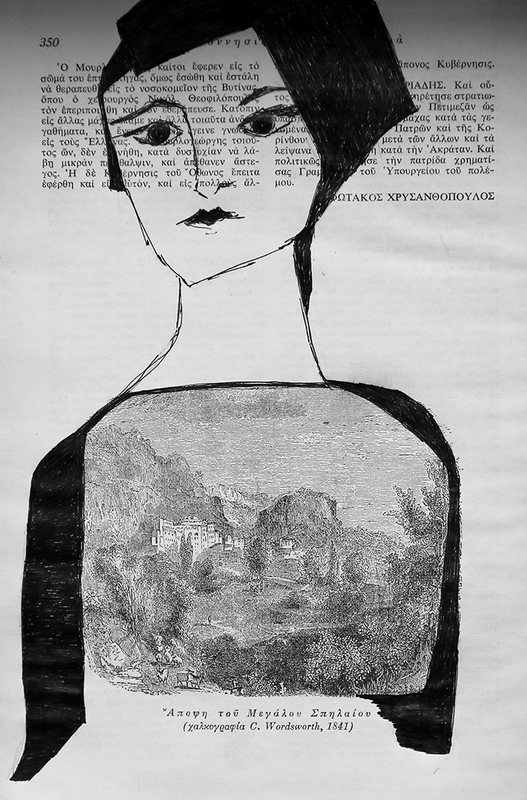 This small drawing is part of a series of quick abstracted portraits on cheap paper and on vintage book pages. Occasionally I use ink, liquid ink, markers, or water-colour. They express a moment, a certain feeling, a certain look. 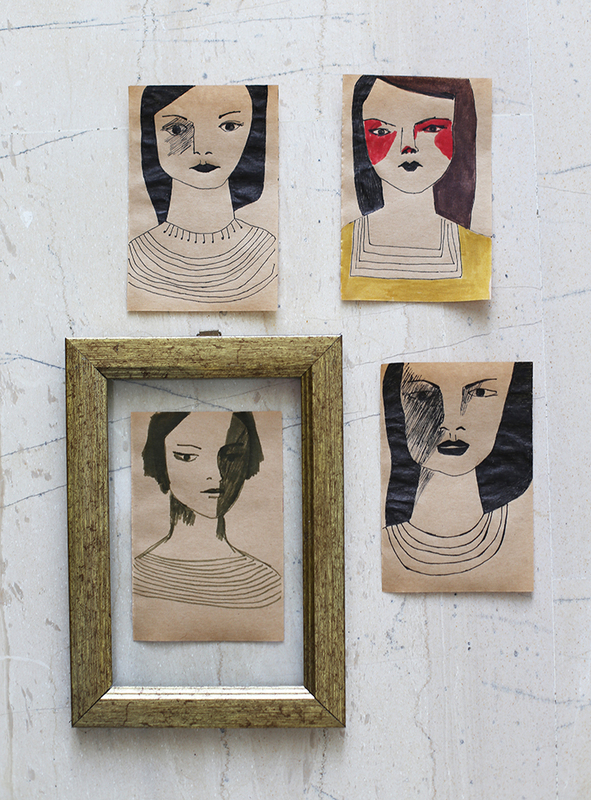 These drawings are an exploration of the female persona, underlying the majority of my work.